Bitumen deposits can be found all over the world, however most of these are too small or inaccessible to make development of these sites feasible. The bitumen deposits underlying Alberta, Canada’s taiga forest stretch across an area roughly the size of Florida and are speculated to contain the world’s second largest deposit of commercially recoverable oil. 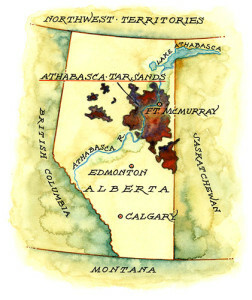 Extraction in the Alberta tar sands constitutes about 90% of the world’s “unconventional oil” industry. What’s the problem with Tar Sands extraction? The tar sands have been called the largest, most destructive industrial operation on the planet, ever.3 In the midst of a changing climate and dwindling biodiversity, expansion of the tar sand industry is a step in the wrong direction if we are to develop a sustainable human existence. Tar sand mining irreversibly destroys landscapes, threatens the health of whole watersheds, negatively affects human communities, and accelerates climate change through greenhouse gas emissions and deforestation. 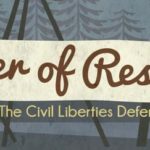 How do the Tar Sands impact the land? As a result of tar sands mining, Alberta’s vast expanses of pristine, old-growth taiga (aka boreal) forest are suffering the second fastest rate of deforestation in the world. 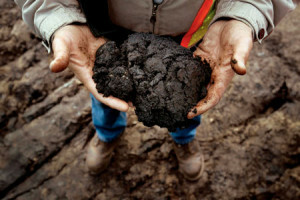 Bitumen is located deep underground and is too thick to be pumped to the surface by traditional means. In pursuit of profit maximization, oil companies clearcut the forest and dig the bitumen up using strip-mining techniques, such as those used in the coal industry’s mountaintop removal mines. The timber is sold, pulped, burned or otherwise disposed of, along with several meters of peat moss (which any home-gardener can tell you is the richest, and rarest, soil-type there is) and every other living thing in the forest. As the forest-scape surface removal often reaches depths of several hundred feet, this form of form of strip-mining offers not even a token chance of forest recovery. Bitumen extraction thus leaves a lifeless moonscape where once there was a lush green wilderness. 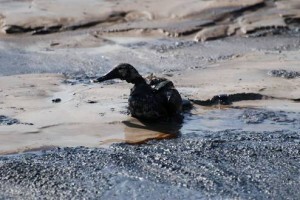 How do the Tar Sands impact the water? Tar sand operations use extraordinary volumes of water, which they get by diverting the Athabasca river, a glacier-fed waterway which flows into giant Lake Athabasca, joins the Mackenzie River system and, eventually, empties into the Arctic Ocean. For every barrel of oil produced at the mines, an average of three barrels of water are sucked out of the Athabasca river.4 Firstly, the water is superheated with natural gas and injected underground to make bitumen viscous enough to be pumped to the surface. The extracted bitumen is then spun with more water and a chemical solvent to remove clay and minerals, leaving the remaining wastewater to be dumped into enormous toxic “settling ponds”, so large they are visible from space. This process results in a localized cluster of tar sand facilities using as much water as the city of Calgary (population ~2 million). Up to half of the water extracted becomes so oily and toxic that it can never be excusably returned to the river, and the “”settling” process, so far unproven, is expected to take several decades to complete, if ever. More than five million gallons of this waste-water leaks out of the ponds and back into the river or groundwater annually. In communities downstream that have seen spikes in environmental red-flags such as mutations in wildlife and rare cancers among humans, the once pure Athabasca River is now considered poisonous and off-limits to drinking. 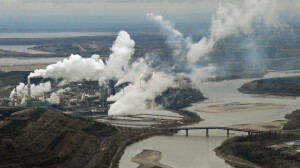 How do the Tar Sands impact the atmosphere? The tar sands contain 1.63 trillion barrels of oil, 170 billion barrels of which is currently recoverable. These 170 billion barrels release 22 billion metric tons of carbon dioxide into the atmosphere. As the industry continues to develop technologically, Alberta’s fossil fuel reserves will ultimately emit 240 billion metric tons of carbon dioxide. For perspective, the current carbon footprint of humanity since the beginning of civilization is 570 billion metric tons.5 At a time when the burning of conventional fossil fuels already threatens life as we know it, bitumen puts the global climate on a trajectory toward irreversible, catastrophic change. An aerial view of the Suncor oil sands extraction facility on the banks of the Athabasca River in Alberta, Canada, in 2009. Scientists say contaminants found at the bottom of lakes in Alberta are from air pollutants from the facilities responsible for producing and processing tar sands oil. 1. Alberta’s Oil Sands: Treasure Chest or Pandora’s Box? 4. WWF, ‘Scraping the bottom of the barrel?’ 2008. p. 27-29. 5. David Biello. “How Much Will Tar Sands Oil Add to Global Warming?” Scientific American, January 23, 2013.